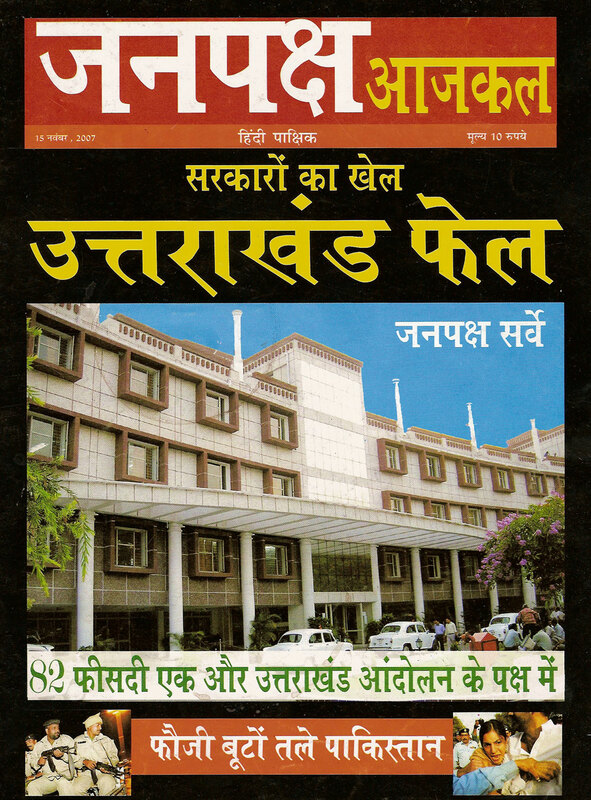 Home » Archive » Janpaksh AajKal Survey: Uttarakhand Fail? 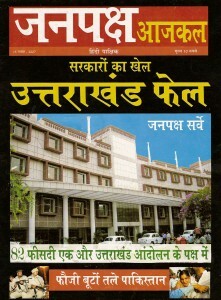 In conjunction with the 7th anniversary of Uttarakhand Statehood, Janpaksh-Aajkal magazine published a survey that loudly proclaimed that Uttarakhand had failed and become a playground for politicians and bureaucrats (Janpaksh-Aajkal, November 15, 2007). While definitely attention grabbing, the survey of 1500 respondents from throughout the state was accompanied by thoughtful commentaries by leading activists and scholars who reinforced the sombre findings. Note these figures have been corrected from the publication.